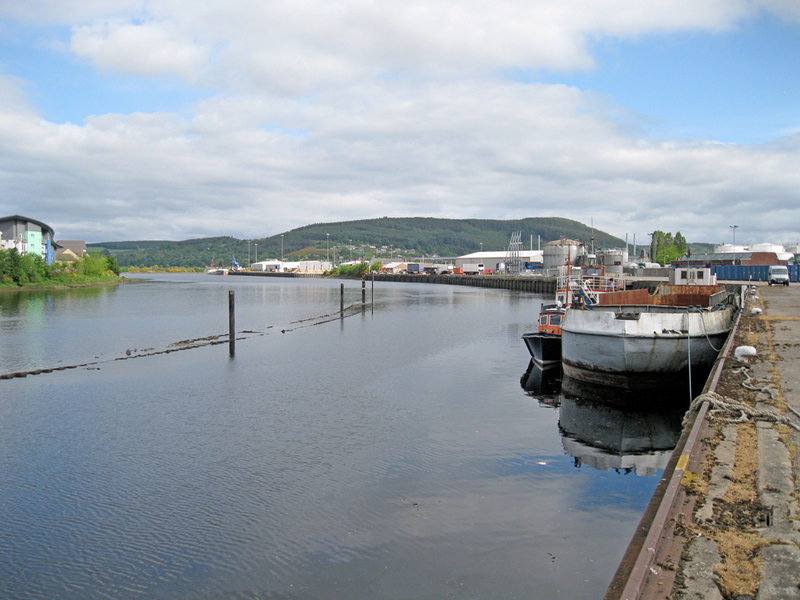 The Port of Inverness is one of Scotland's most sheltered natural deep harbours and lies seven miles south-west of Chanonry Point in the Inverness Firth. The port is owned and operated by the harbour trustees, established by Act of Parliament in 1847. It was previously run by Inverness Town Council, and recorded history dates to as early as 1249. As one of Scotland's most sheltered natural deep harbours, the port of Inverness is well placed to handle the ever-growing trade between the United Kingdom and countries in Scandinavia, the European Union and the Baltics. The port caters for oil tanker traffic, timber, paper pulp, coal, processed timber, grains and a host of other dry cargoes. Large modern transit sheds are provided, as well as large areas of open storage. Alongside this there is also a thriving yacht haven, with 20 berths and four visitors' berths. In recent years the port has handled close to 800,000 tonnes of cargo each year, with over 300 vessels visiting the port. Inverness is a major distribution centre for imported fuel oils to the whole of the north of Scotland. Imports of fuel oil topped 450,000 tonnes. Processed timber is another major import, with 125,000 tonnes landed last year from Sweden and Latvia/Estonia for onward distribution throughout Scotland and the UK. A further 100,000 tonnes of imports comprise: road salt for Highland Council; coal of differing types/grades from Holland; baled paper pulp from Russia/Finland and Portugal; roofing slates from Spain; grain from many European ports; sugar beet; and stone (granite). The principal export from the port, almost 100,000 tonnes in 2000 (85 per cent of total exports), is Sterling Board as manufactured locally at CSC Forest Products. This is shipped throughout the year, many to the Low Countries. Other exports include potatoes, salmon smolts, and machinery. A recent development has been the export of liquidised fish waste from Scottish fish farms to Norway, for onward processing into fertiliser.